Stop combing the internet for brunch recipes. 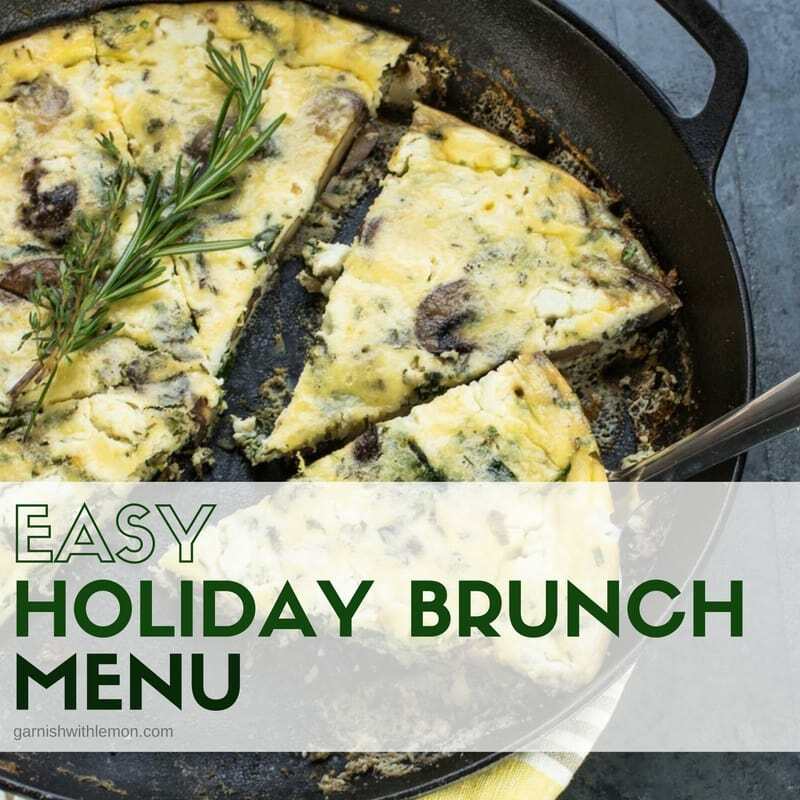 Our Easy Holiday Brunch Menu lets you enjoy more of the season and less of the stress! Chances are you will be entertaining friends and family for a meal sometime this holiday season. Why not volunteer to host our favorite meal – brunch? This Easy Holiday Brunch Menu can be quickly scaled for a small or large group which makes it ideal for all of your holiday entertaining. 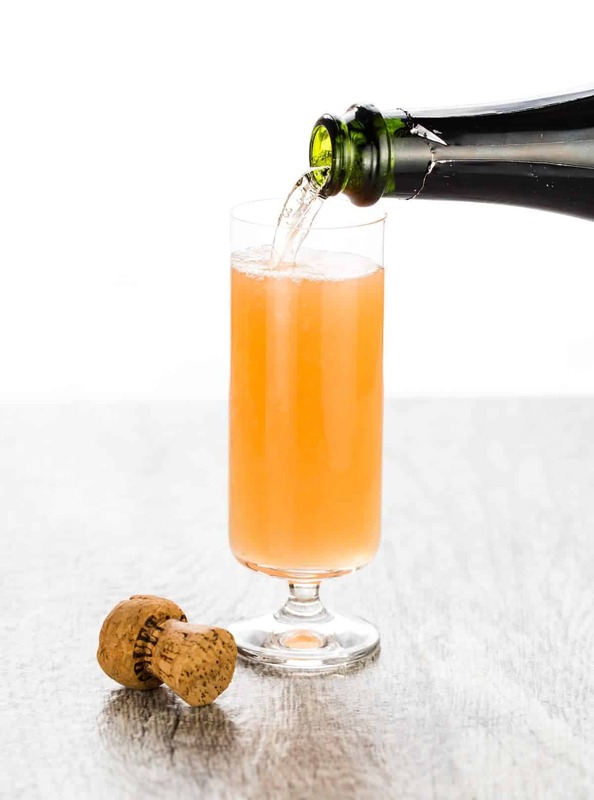 Kick off the party with a healthy pour of our Mexican Mimosas. The addition of tequila sets these brunch cocktails apart from the rest. 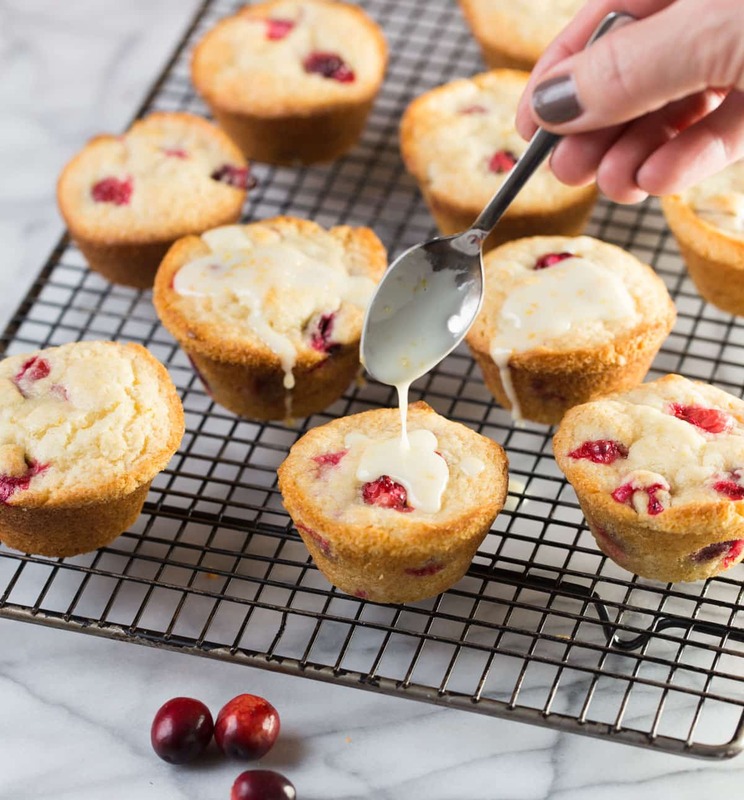 You can’t have brunch without a baked good, and these seasonal Glazed Cranberry Orange Muffins have just the right combination of sweet and tart. Salad for brunch? You bet! 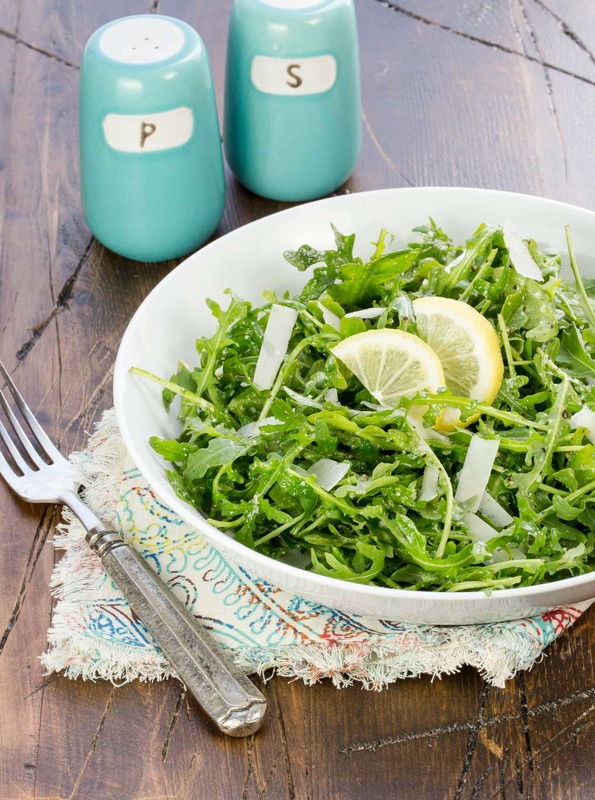 Sneak your greens in with this 5-ingredient Arugula Salad with Lemon Vinaigrette. 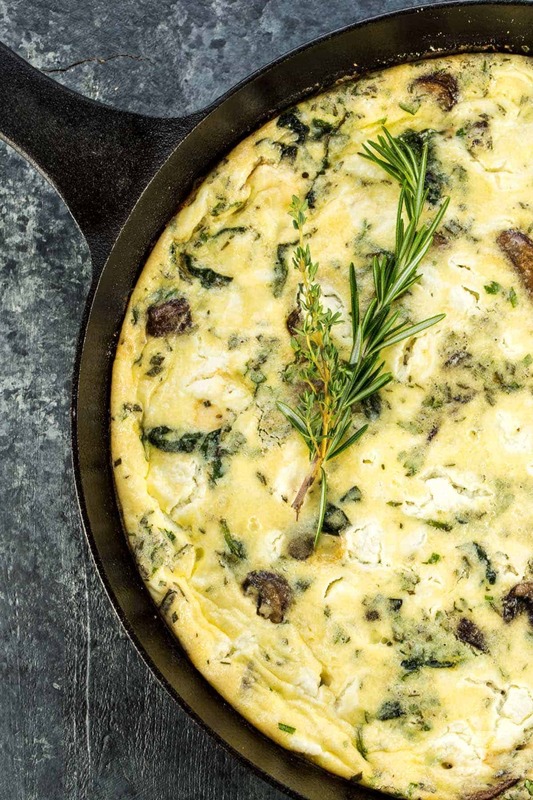 Crown your brunch with this Mushroom and Goat Cheese Frittata, which can be prepped on the stove before the guests arrive and then finished in the oven while you enjoy another mimosa! Want more brunch ideas? Check us out on Pinterest! Hi Sam, I changed it entirely so there wouldn’t be confusion. Thanks for stopping by!